Contrarian investors should pay particular attention to the unusually low bullish reading in last week’s survey. There are about 160,000 AAII members. The typical member is a male, with a bachelor’s or graduate degree, and is in his mid-60s. 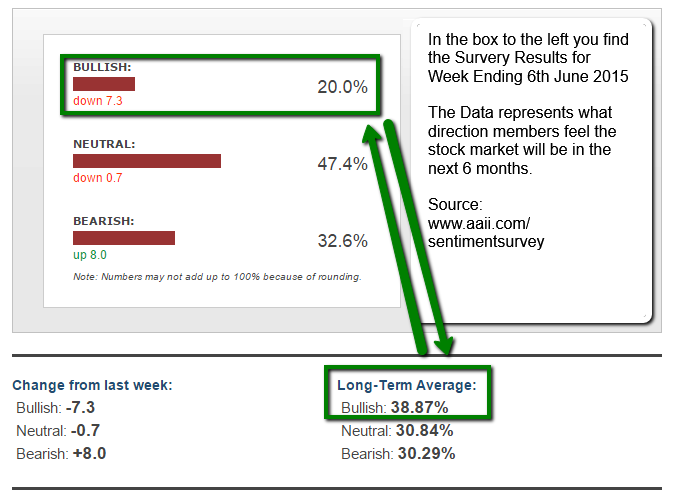 The median portfolio size of members is just over $1 million.That makes the AAII Sentiment Survey a good proxy for the mood of the typical affluent retail investor. Put simply, retail investors, as a group, tend to be very bad at timing the stock market. For instance, the highest level of bullish sentiment ever was 75%. This record was set on January 6, 2000 – just months before the dot-com crash. This means bullish readings between 28% and 49% are within the normal range of the historical results. > Anything below 28% or above 49% is extreme. +) producing average gains of 13%!